The Caruso Manner | It's the way I do things! The healing of my left knee moves on at a slow pace. I am being very dutiful in the exercise to help the healing on my left leg. I want to share you some peaks at the release scheduled for next week. As of Friday, January 6 at 12:00 PM EST you will not be able to purchase and old sets bt Marcella Hawley and Sam Pritchard. If you want you must act now. * Seven swans a-swimming represented the sevenfold gifts of the Holy Spirit – Prophesy, Serving, Teaching, Exhortation, Contribution, Leadership, and Mercy. * The twelve drummers drumming symbolized the twelve points of belief in the Apostles’ Creed. My second tidbit is about Santa Claus which I found on the history channel. If your like me and think about Santa Claus a a jolly old man dressed in red. Here I am sharing with you the history and evolution of Santa Claus. 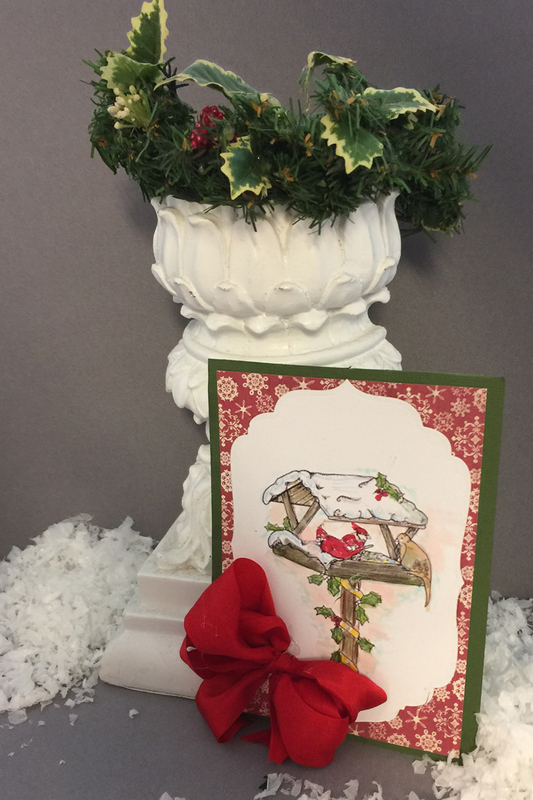 On to the subject of stamping, we have just celebrated the holidays filled with peace, love and hope. As we move to our January in just a few days, our release is all about the love in the air. In seems to me that all of those good wishes usher in to Valentines Day. I love to look into the things we do and the history behind them. It is pretty sure that I will share with you the history of Valentines Day. I wish for each of you to have a year of prosperity, love and peace. auf Deutch, “Frohes neues Jahr”.Frohes neues JahrGutes. 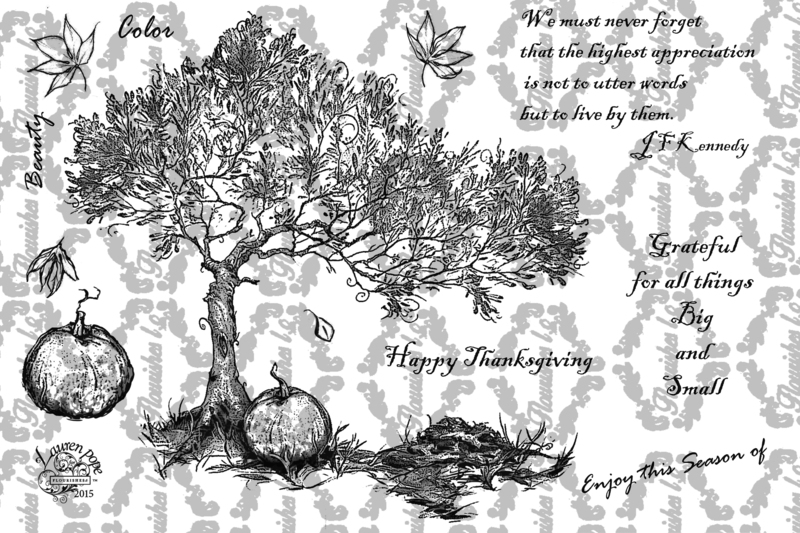 Here is the card I made for the you today. Shipping is $5.00 under 4 0unces and over $50,00 is free shiping. You don’t want to miss this sale. 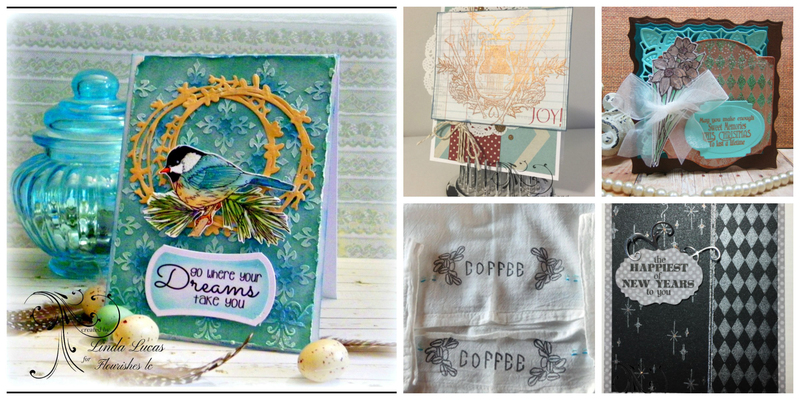 Thank you for joining Flourishes LC and Imagine Crafts on this fabulous Cyber Monday for our first blog hop together, we are excited to share with you our designer’s creativity using each company’s products and each designer unique style. Make sure to leave a comment on each designer’s blog as we will be giving prizes away randomly from two of the designer’s blogs. Jan Marie Caruso https://thecarusomanner2.wordpress.com <- You are here. 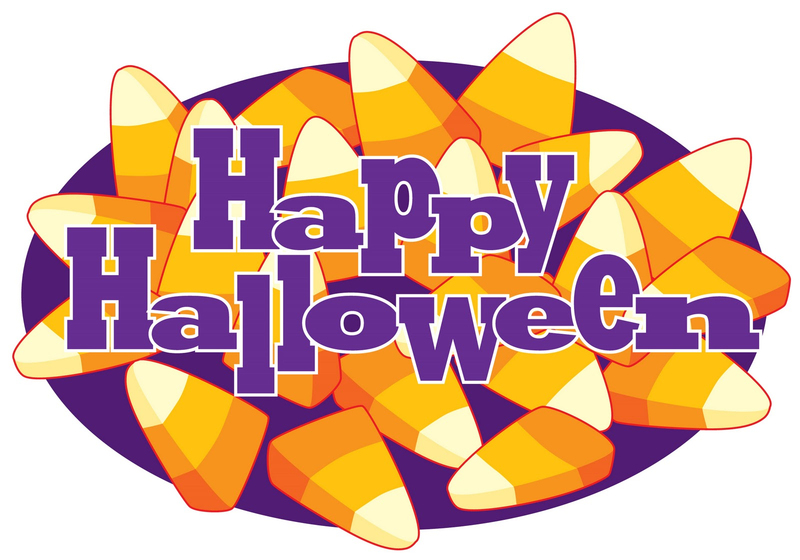 Yes it’s time for Candy Corn and Halloween. 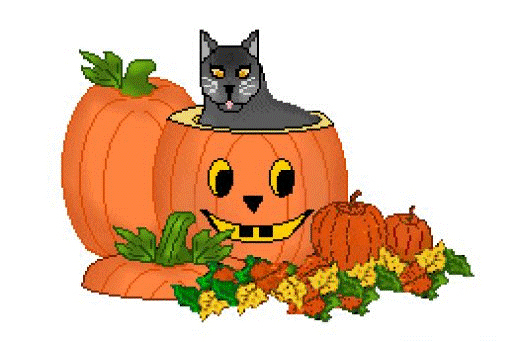 To celebrate we decided no tricks only treats. 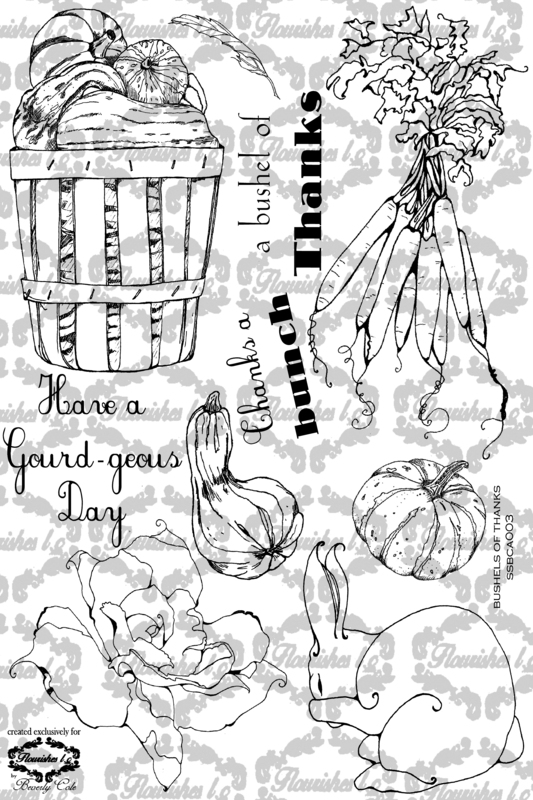 All October releases are on sale for a whooping 15% off. That means they are on sale, 4×6 set for $15.29. There is more, purchase $55.00 or more and US address get FREE SHIPPING. 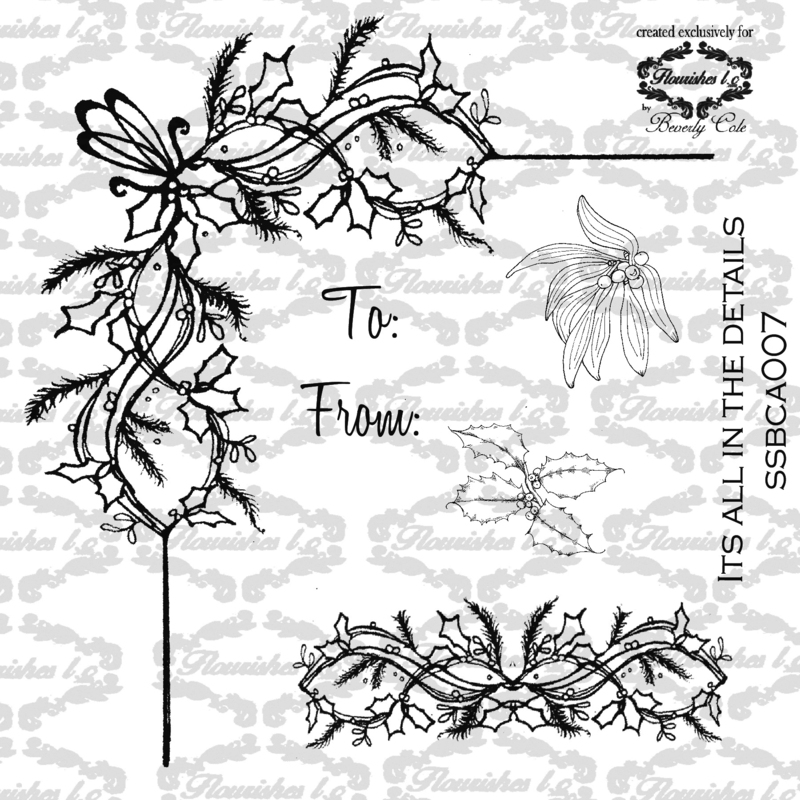 Order only one stamp, we’ll ship in a plain brown envelope for $3.00 -There are restrictions, no insurance, no trackingnumber, and no guarantee from Flourishes if you have problems with you shipment. We will ll do what we can, but it’s not a guarantee. My cast has been off for two weeks and I am bouncing back. I think I may eve try some coloring. 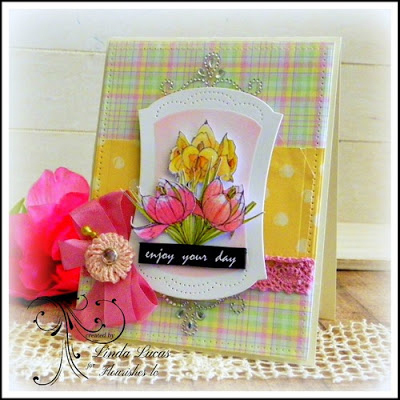 I want to focus of the set and cards that the Senior Design Team has done in case you are not receiving our blogs are current customers. We’d love to have you back! 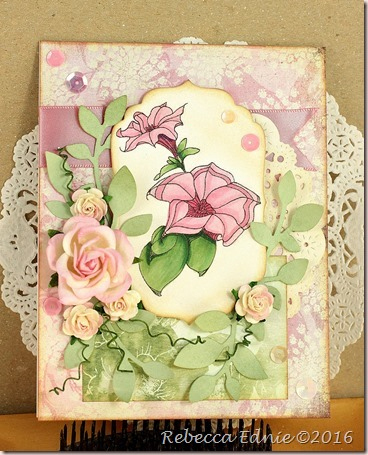 On Monday we release all 3 set for Year in flowers so here are the stamps sets, then I show you the cards. 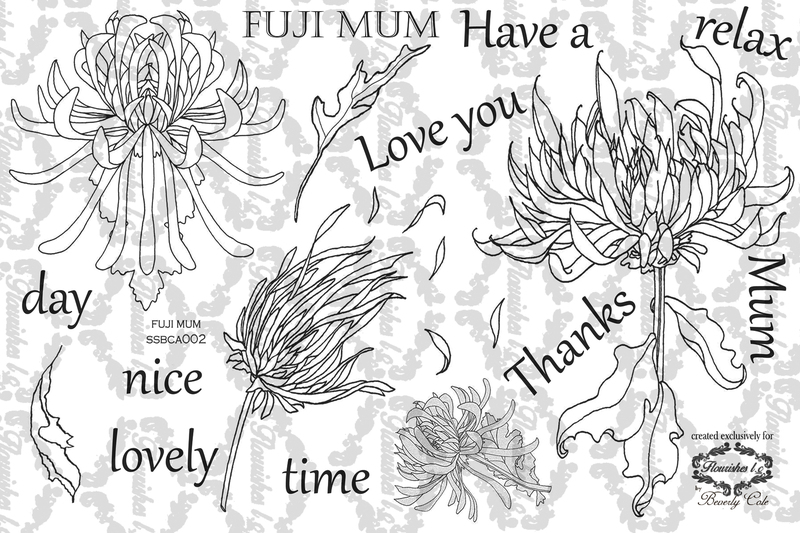 These sets were all drawn by our Artist in Residence, She has captured the raw natural of each flower in the sets. The are all in our store, ,flourisheslc.com. and cost is 17.99 each. 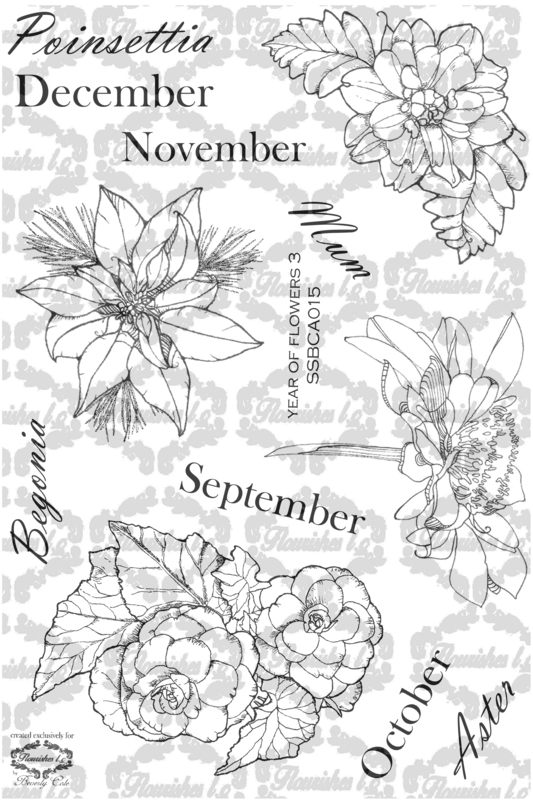 Year in Flowers has the following images: Amaryllis, Camelia , Crocus and Tulip. 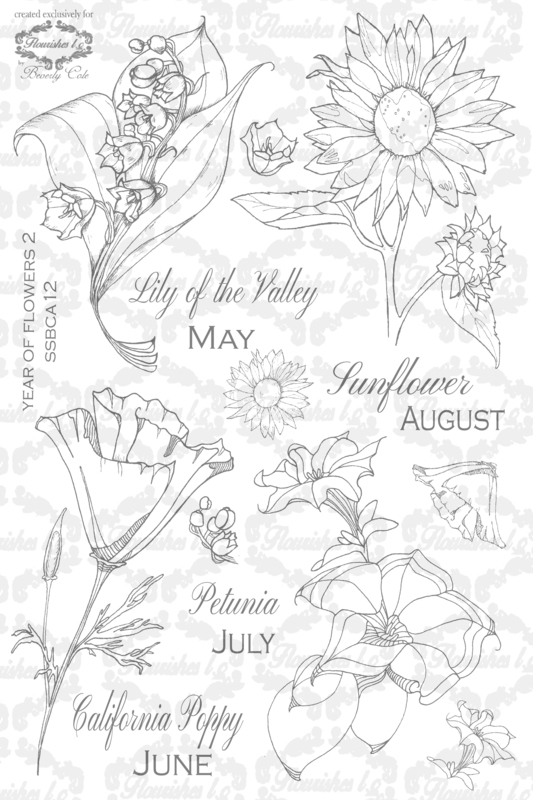 Year in Flowers 2 has Lily of Valley, California Poppy, Petunia and Sunflower. 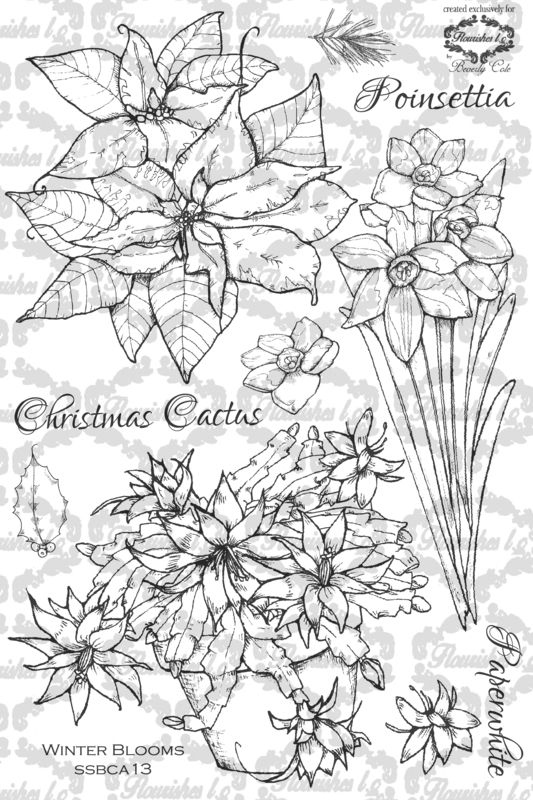 Year in Flowers 3 has Asters, Begonia Mum and Poinsettia. 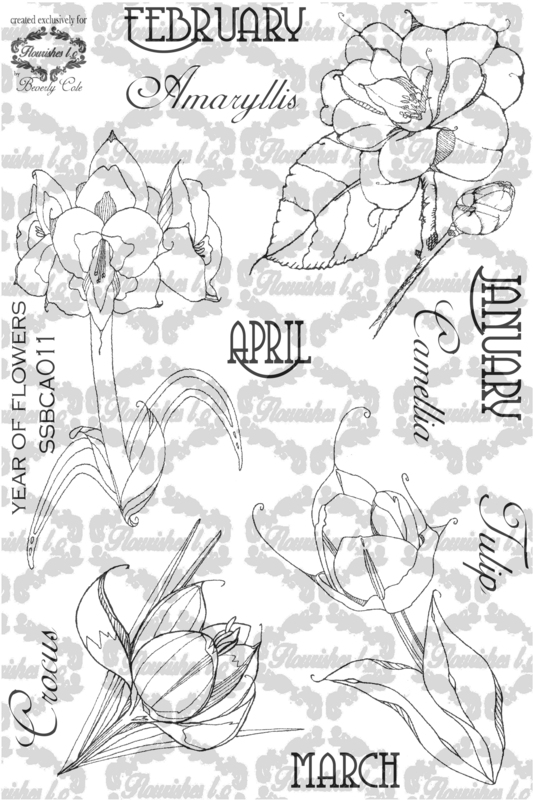 Each set has the name of the flower and the month. Quite a deal for the flowers lovers. I will be back tomorrow with another set or two. I am very please with how they turned out. I can see myself tring them on other things in a bronze metallic spray paint. How about you? Have I tempted you to try your hand at this? Remember new Release week starts on Monday and boy oh boy are you in for a treat. Go to flourisheslc.com? Previous customer, please sign in as a new customer. 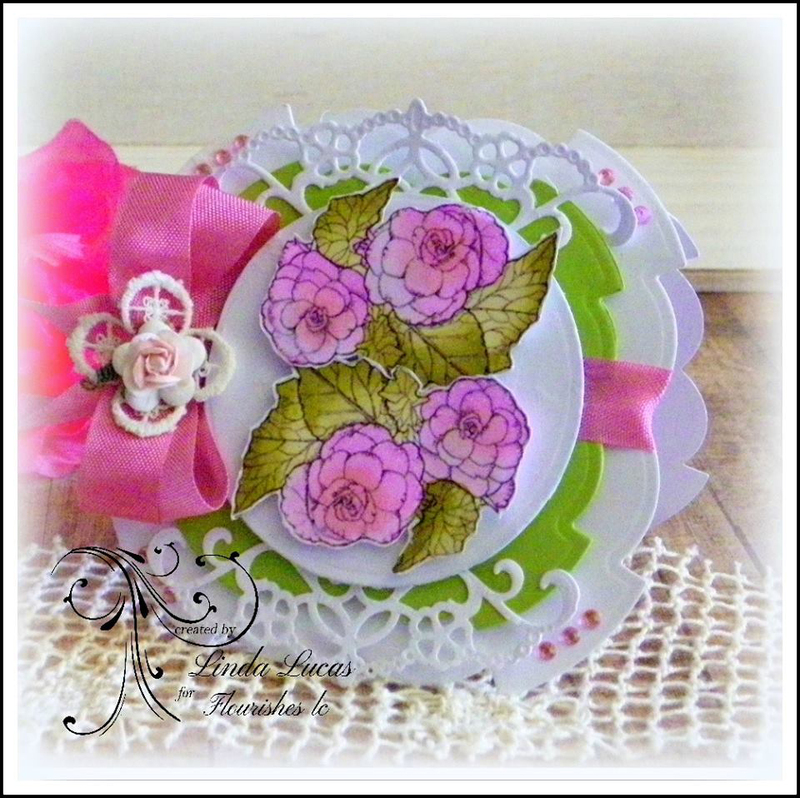 I hope you followed me from the the Flourishes blog. Any way you got here I am glad you are here. 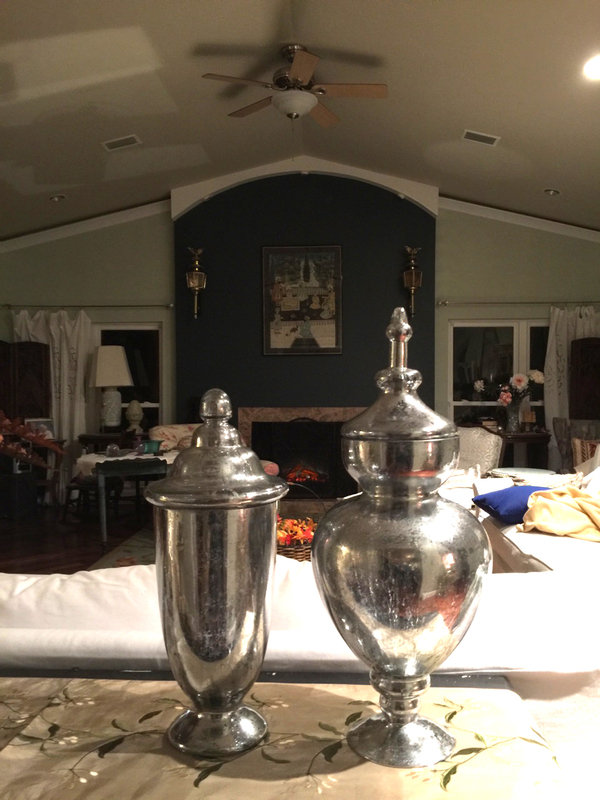 Tuesday my sister, Louise, visiting and helping to care for Mom and I tackled a project of faux mercury glass. She had done it before but had done wine bottles in various color and used a slightly different process. Mom watched the entire process and was really engaged with us. 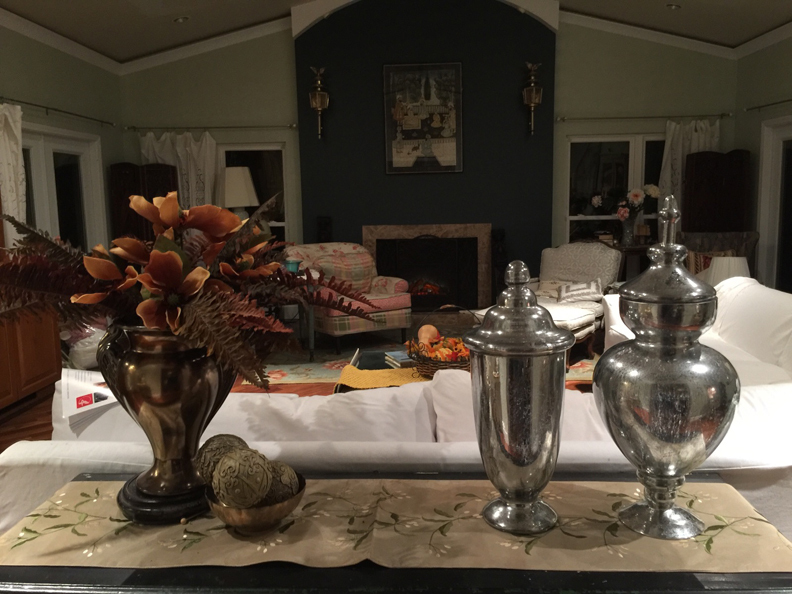 Two large urns- one I purchased last year for 50% off and one I purchased a few weeks ago at 50%off. 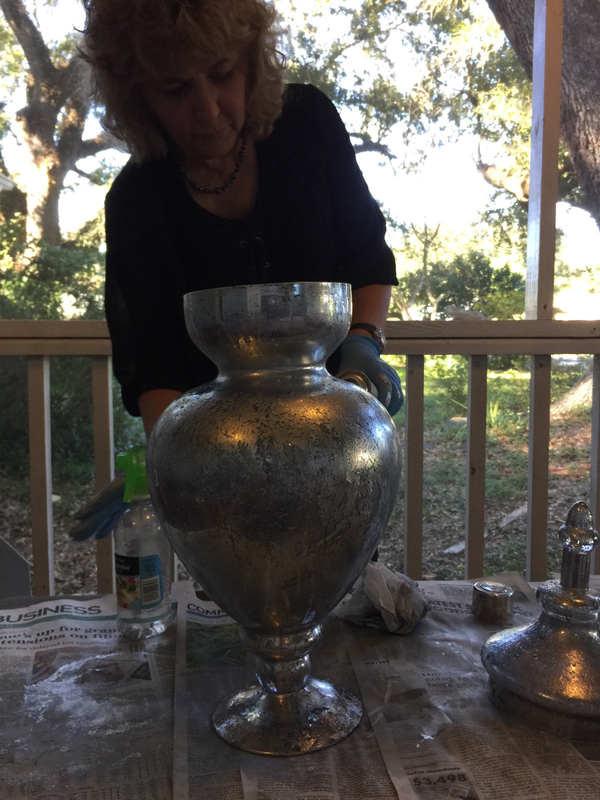 Windex and paper towels, cleaning thoroughly both the inside and outside of the urns and lids. Then we started by lightly misting the insides of the urns and twirling it around as we went. Here is a picture as she is painting on of the urns. We did the insidedes and turned them upside down , twirling them and let them drain. We did the same process inside the tops. Then added another light misting of vinegar and paint stray, twirling and draining them again. September 2016 marks a big day for the new Flourisheslc. 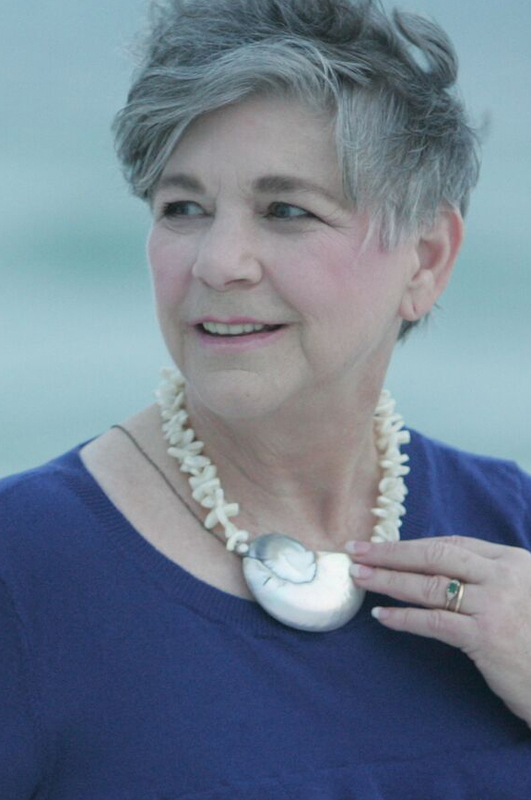 We have a new artist on board and her name is Bev Cole. You will grow to love her, and embrace her art just as I have. 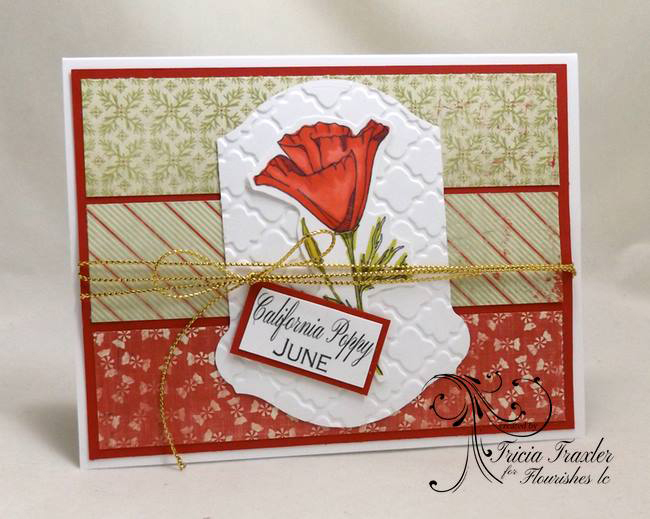 She is our staring artist with the 5 new sets she has drawn exclusively for Flourishes this month! Lauren Pope will be featured on our last day, Saturday with another great set. 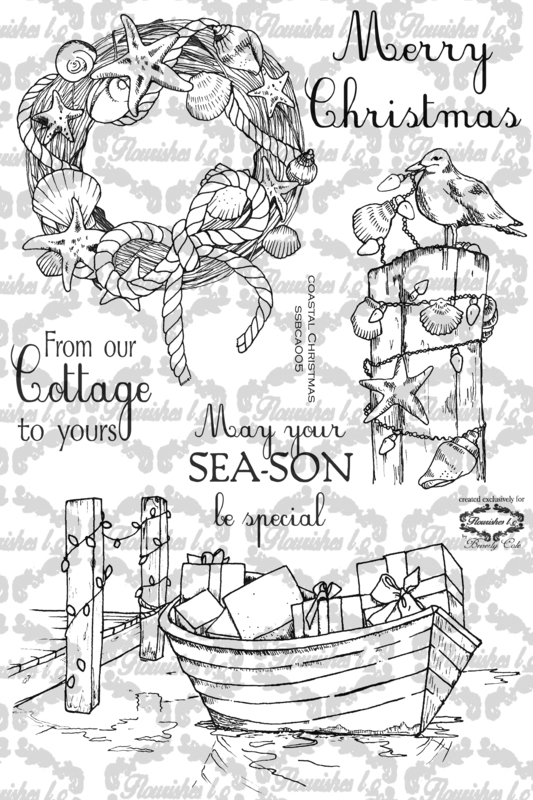 Hold on to your seat while I show you all the sets just in time to get in the mood for Fall, Thanksgiving and Christmas. So that’s my preview of 5 sets by New artist and 1 by our own Lauren Pope. For the next 6 days I will give you highlights of each set and a separate and have a few more surprises up my sleeve so come back and see what’s in store each day through Saturday.